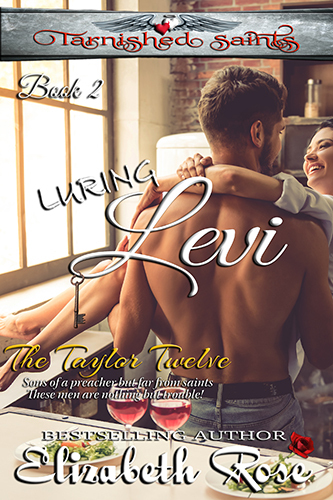 In Luring Levi – Book 3 of my Tarnished Saints Series, Levi ends up as half-owner of the Three Billy Goats Diner. 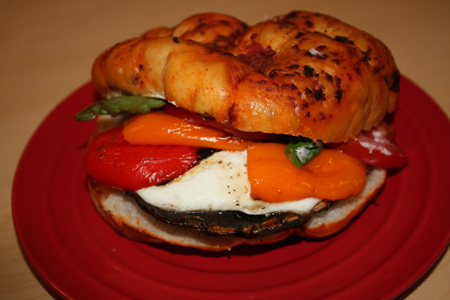 He is known for making some knock-out sandwiches – one which is my favorite, the Grilled Portabella Mushroom Sandwich. 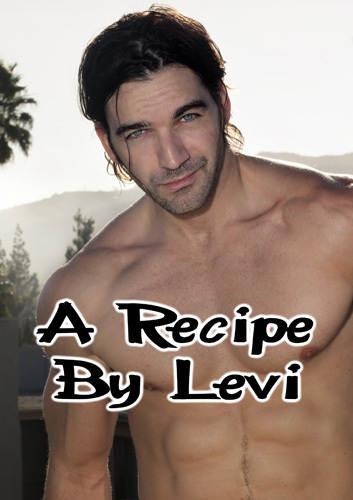 Levi, will you tell us about it? Levi: Sure, Elizabeth. This is a man-sized sandwich that I like to eat in my Man Cave in the diner, although some of my brothers would prefer a real burger. But let me tell you, it is just as good. 6 mini sweet pepper, cut in half and remove seeds. Fresh Mozzarella cut into slices to cover the mushroom. Sauce: 3 Tb. mayo, 2 garlic cloves minced, 1 tsp. brown mustard. Next, lather up your focaccia bread with the sauce, and layer on your cheesy mushroom, peppers and tomato, topped off with fresh basil leaves. Sprinkle on more bottled balsamic dressing, and enjoy! It is a real treat for the tastebuds.